The Fairmont Jakarta has announced new stay packages that combine luxurious accommodation and fine dining with a private helicopter tour. According to the hotel’s press release, there are three new packages, namely a “Luxurious Fly-cation”, “Stay & Fly High” and “Brunch & Fly”. The first package features accommodation in Fairmont Jakarta’s Sky Suite, a 4-course dinner for two in the View restaurant, a 15-minute flight-seeing tour over Jakarta’s landmarks with champagne upon arrival and a buffet breakfast for two at the Spectrum restaurant. The package is priced from Rp 12,000,000++. Stay & Fly High includes one-night accommodation in the Fairmont Room, breakfast for two at Spectrum and a 15-minute flight-seeing tour around Jakarta. The package is priced from Rp 9,100,000++. For those who prefer brunch, the Brunch & Fly package includes a Sunday brunch for two at Spectrum restaurant, followed by a 15-minute flight-seeing tour around Jakarta. It is available at Rp 8,500,000++. 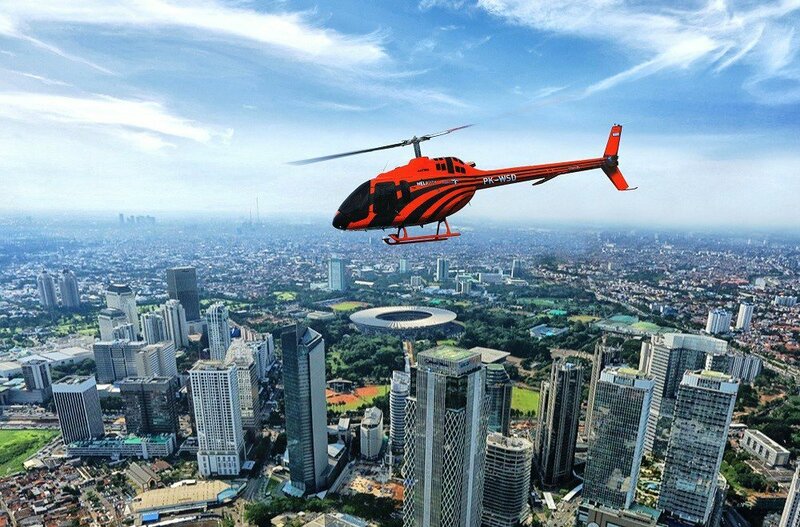 For these packages, Fairmont Jakarta collaborates with Helicity by Whitesky Aviation, a Jakarta-based helicopter provider. Guests can choose from two types of helicopters, the Bell 505 that can accommodate three to four passengers and the Bell 429 that can accommodate up to six passengers. "The newly launched helicopter packages will definitely take things to a new height. They are the perfect packages for those looking to have memorable experiences, exclusivity and efficiency,” said Fairmont Jakarta general manager Carlos Monterde.